Welcome to my online casa. I am a professional educator with training in the fields of education and conservation while engaging in different artistic endeavors with art and messaging—often exploring the intersection of the environment and culture. I play with design, words, science, and education—engaging in the interdisciplinary intersections of how we view and engage with the world. Be it a piece of art or scientific fact, I like to weave ideas with people while appreciating the beauty of it all. 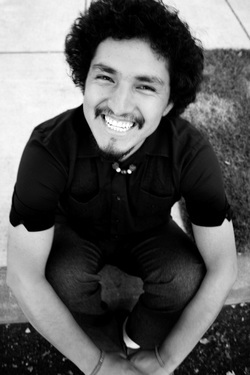 I navigate through a self-created identity of a "Green Chicano" in a professional sense. In particular I am weaving through the roles of Conservationist/Environmentalist, Chicano, and Educator. Throw into the mix a bit about other things such as being Latino nerd, illustrator, and the like.